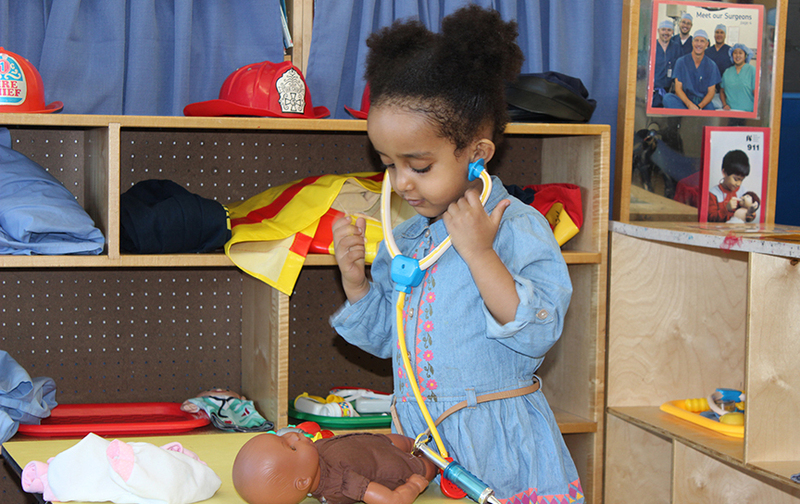 The Neighborhood House Skills for School program promotes a multi-cultural at both our Wellstone Center and Jie Ming Mandarin Immersion Academy locations. For more information, contact Valerie Dorschner at 651-789-3603 or email. A cornerstone of the Neighborhood House early childhood program is our in-home visits, where teachers can identify child and family needs early and address health issues. During in-home visits, Early Childhood Education staff provide support for both the children and the parents in a setting that promotes positive relationships with the entire family. Staff offer ideas to parents for extending learning and skill-building beyond the classroom, information about child development, and help them navigate the school system so their children are ready for academic success. For more information, contact Tracy Pham at 651-789-2533 or email. It’s That Easy! Raising Sexually Healthy Children (ITE) is an evidence-informed program developed in Minnesota to strengthen families and communities, and promote resiliency. ITE was designed to meet parents/caregivers where they are in their parenting journey. ITE provides Parent Educators tools to discuss sensitive subject manner about sexual health topics related to parenting. The Parent Educators’ goal is to support parents, helping them feel more confident, committed and courageous in their role as the primary sexuality educators of their children, especially their teens. For more information, contact Amanda Williams at 651-789-2543 or email.